Okay! Musume Time: After 4pm, Turn Your Uniform into Gowns, And Become A Princess! Houkago Princess to Recruit New Members! After 4pm, Turn Your Uniform into Gowns, And Become A Princess! Houkago Princess to Recruit New Members! During a live chat on SHOWROOM this June 15th, it was announced by Team Miracle members (Odagiri Nana, Yamaguchi Miranm Kizuki Saori, Maika and Sekine Sasara) that Houkago Princess will be holding auditions for a new generation! And today, on June 16th, the special audition website for aspiring Idols has opened, so if you would like to transform from a school girl to a Princess, this is your chance to do so! To head over to the official audition website, CLICK HERE!!! This will be the first time since 2013 that the group will hold auditions publicly. 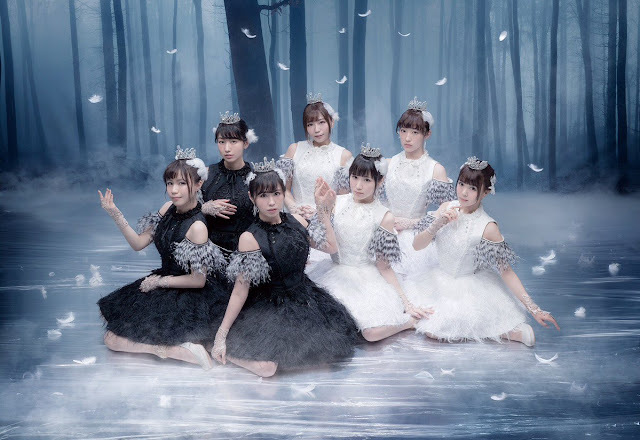 Though it is simple enough to apply via the groups website, the only other time that Houkago Princess have announced a search for new members, was back when Michishige Saho was the only 6th generation member. Usually, all auditions are done silently within the group, and new members are more often than not found from other units, and such. This will also be the first time that the auditions will be held on SHOWROOM Live, giving potential new Princesses a chance to gain fans, and win over the hearts of both members and staff in the process. The audition process itself will run from now until mid-August this year. Applications are open until July 10th, and from July 15th, the first review will go underway. The final part of the audition process, which will include the final review for potential members, will happen in mid-August this year, and then the new members will be chosen,a nd make their debut as Apprentices! For the first decision, potential candidates can conduct a screening with Houkago Princess staff members to determine who will pass onto the next round. Fans of the group may also be watching, so by using this method of auditioning, you can already begin to earn fans through it. It seems that there will be someone to help you with your delivery, as well, so if you're concerned about that, don't worry. For the second option, which will be submitting documents only, if you're unable to put yourself forward on SHOWROOM for any given reason, staff will accept a private screening with documents, instead. For this, they will require specific documents, and you will be informed by administrative staff which documents after you have entered the audition. On the audition form given, there is also a third option where you can consult with the staff, about which decision you should make. If you are confused about what to do, you may want their advice, and see where it takes you. On July 15th, the secondary phase of auditions will commence, and potential members will have to participate in a SHOWROOM live, where everyone can communicate with fans and the judges, who will give feedback in real time. The three girls who earn the most points, (and, from what I can gather, the two who have the judges approval) will pass into the final round. For those applying via documentation, there will be several applicants who may pass into the final round after their screenings, as well. For the final review, to be held in mid-August, there will be a final review held at a studio in Tokyo, with the audition process shown on SHOWROOM. For those being screened via their documents, the final audition will be held at their office in Tokyo. The girls who pass, whether they appear on SHOWROOM or are privately screened, will then make their debut with Houkago Princess, and become Apprentice members! Current members, Odagiri Nana, Maika, Kojima Mayumi and Sekine Sasara have given their comments regarding being members. 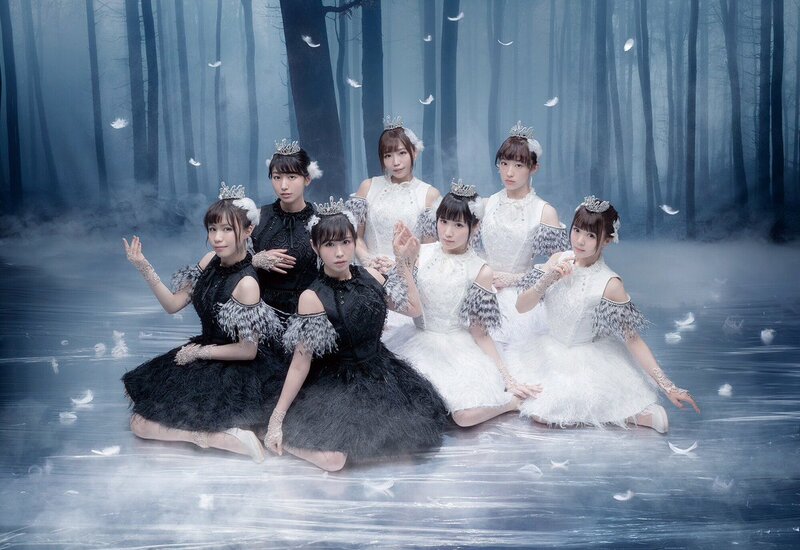 Both Nagasawa Marina and Horii Nina have also commented, as former members of the group. 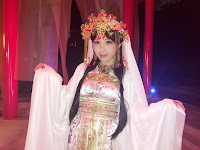 "As one of the first members, I have been active in Houkago Princess for years, and have welcomed many new members. It is not an easy road to become a Regular member from HouPri Youth, but I think that your time as an Apprentice and the things you learn will definitely be unforgettable! I think that, 'the hardest times' are the best, and I want you challenge those times with everything!" 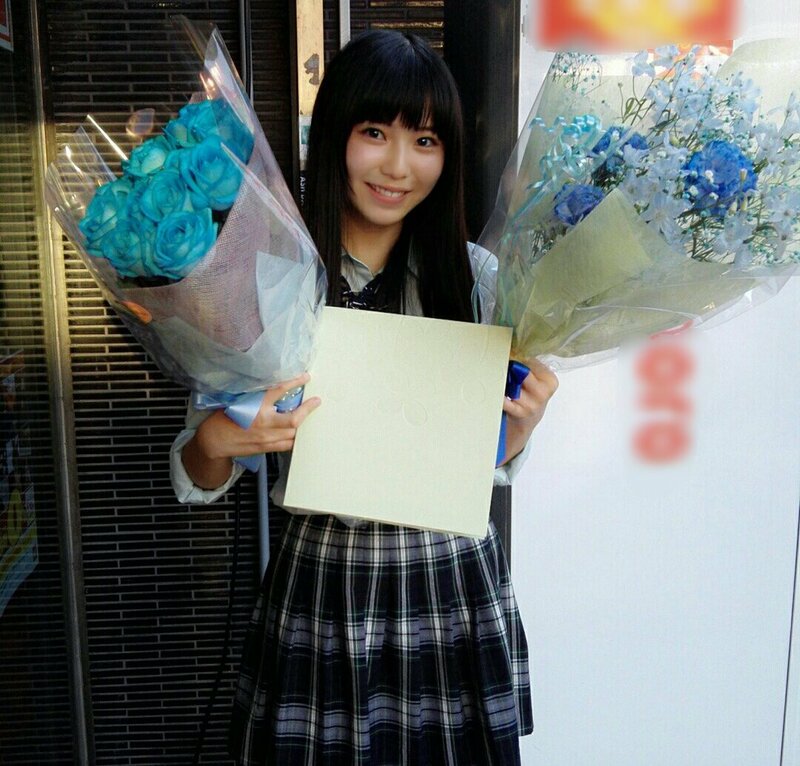 "I joined Houkago Princess because I convinced myself that I wanted to shine on stage again. I also started out as an Apprentice, and then a Candidate, in the beginning. I have such great belief in the President, Odagiri Nana, the staff, and my fellow members for the vision and dreams, and everything I want to achieve as a result of what I wanted again... Now, I am able to act the way I do thanks to the important role I have been given as the vice-president of the group. It is a waste if you don't notice this opportunity now that it has arrived! The fact that I was also able to find this audition was an opportunity, and it lead to something that became my future! So I would like to recommend in taking this challenge without giving up... and so on. I once gave up my dreams as an Idol, but when I became a part of Houkago Princess, my life shone again and again. It is the life of a child who had a serious dream, that I would shine... It is not easy to step up to the dream stage, but the happiness you feel when you achieve it, is so much more than what you thought you would feel! I am looking forward to proving that this is a strong feeling, and sharing it with you!" "When I was facing the crisis of the HouPri Youth's dissolution, I decided to choose the path where I would slowly be promoted into Houkago Princess. In the Candidate era especially, I remember that there were times when it became harder and harder to memorise songs and dances, and I could not get used to it. Despite not being good at singing or dancing, I was still able to get promoted from Apprentice to Candidate, so I continued to work hard and aim for something more. For future members, we are waiting for someone who is aiming for Regular Members with a strong will!" In the beginning, I joined Houkago Princess Youth because I wanted the pleasure of singing songs, but being on stage as an Idol, I continuously felt anxious. "I can't do anything like an Idol", I told myself.But it was Houkago Princess that gave me the courage, and I was able to smile and show my emotions on stage, and grow in confidence and courage. At the time I was in Houkago Princess Youth, I once thought that I would go a different way, and decided to leave the dream of being promoted into Houkago Princess as a Regular member. However, now that I am active as a Regular member, I am so glad that I chose this road! Of course, being an Idol is not an easy task. But, there is happiness beyond that! I sincerely look forward to the number of friends I will make along the way, and I hope that through this, your excitement at becoming an Idol will increase!" "There were a lot of fun things during my study period, after I had entered Houkago Princess as an Apprentice! 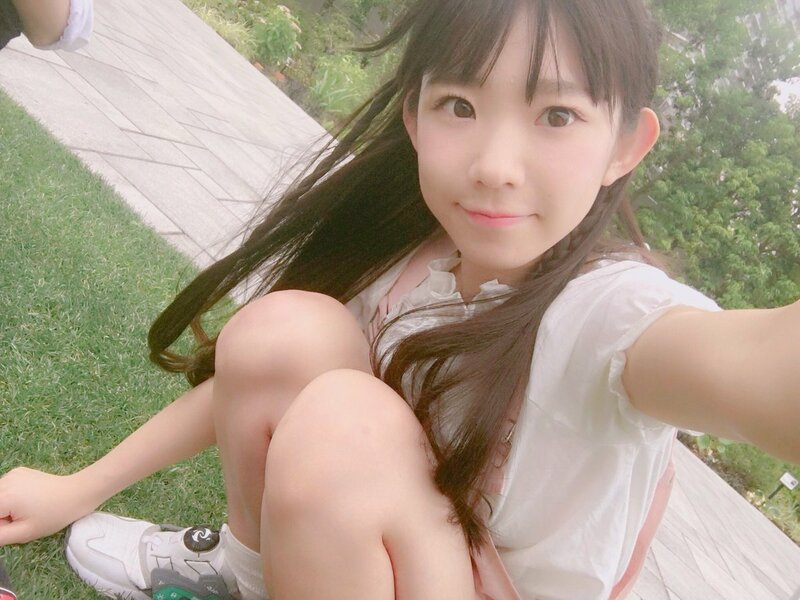 Up until then, I had lived as an ordinary girl, but after entering Houkago Princess Youth, I went to lives, I experienced handshake events, was able to go to foreign locations, and participated in various events. It changed my life! The older members taught me so many things, and I was able to meet and be around such gentle people. Please, join these auditions, by all means." "It was by being active as a member of Houkago Princess that provided me with a place to be active, even if I anxious. What I experienced during my time as a member of HouPri Youth, it lead me to being the person that I am now. I want to assure that you can learn a lot, and grow into something more here. If you are worried about auditioning, please know that it is a waste to not to take it! Once you experience it, you will understand." Currently, it doesn't seem that there is a restriction on who can audition, in terms of where they live. So, if you want to try and audition for the group from America or England, I saw give it a try, and see what can happen. However, having an understanding of Japanese may help. In such a long time, this will be the first public audition that Houkago Princess has held! So, for everyone wanting to participate, please give being an Idol a chance, and show both the staff and current lineup of members your enthusiasm and cheer for the group! If you think that you can work hard and get through the Apprentice and Candidate system, then by all means, go for it! Reach for the stars, and don't let anyone tell you that you can't become a Princess! Go look at the website, or check out the form, and good luck! Let's look forward to the future princesses who will grace our presence this coming August or September!